Nikolić – Kralovec Families, originally uploaded by bill kralovec. We had a great long weekend at my friend’s country home in Obrva, Serbia. Obrva, which means “eye brow” in Serbian, is a small village near the city of Kraljevo, which is about a 2 and 1/2 hour drive south of Belgrade. Aca and his family were gracious hosts, and my family and I had a wonderful time. We ate well, were very comfortable, and had many laughs! The kids were calling it “the farm” which was very cute. Aca’s father is from Obrva and after retiring from working in Belgrade, is now spending more time at the country home he grew up on. 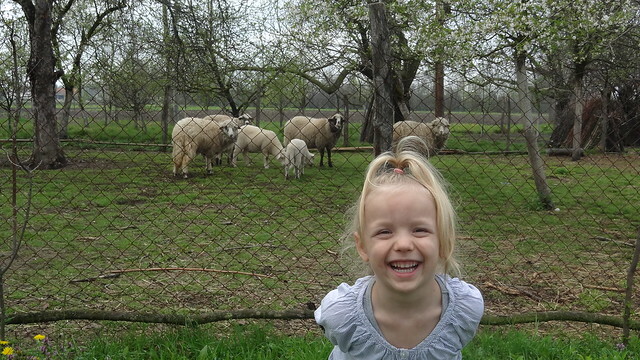 The weather held out and the kids enjoyed playing in the yard and seeing all of the animals. His father grows corn and soya for feed and he raises cattle and sheep. Aca and his girlfriend Milica took us on a tour of the sights. We walked around downtown Kraljevo and saw the airport Ladjevci, which was an air force base and it is being converted into a regular airport. We also stopped at an historic church which I’ll blog about later. 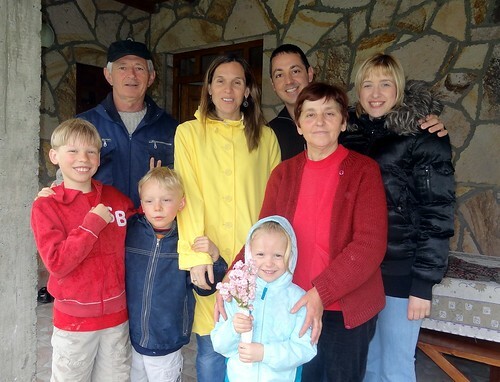 We were really shown some Serbian hospitality and on behalf of my family I would like to say thank you. “The Farm” is really a 5-star country bed and breakfast. We will have some fond memories of Aca and his family and hope to return to Obrva.